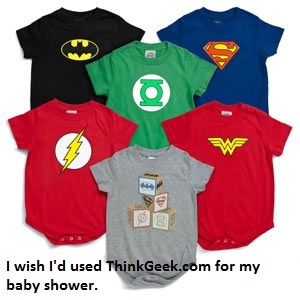 My COG: I wish I'd used ThinkGeek to register for my baby shower. I mean look at these superhero onesies - pure awesomeness. I found these after my own had outgrown the onesie, but they are tops on my list of gifts for expectant parents (especially those of the geeky persuasion). It's true, I am a Geek Mom. I've always been a geek, so it's really not all that surprising to anyone who's talked to me for 5 minutes. 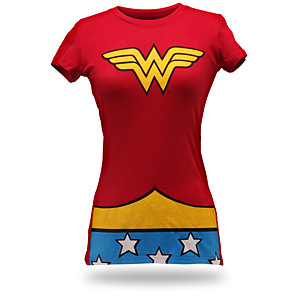 I'm much more likely to drop the kiddo off at school in my Wonder Woman t-shirt than a twinset, and I make sure there is at least 100 feet between me and any Nicholas Sparks books at the library (I live in the real world, I don't like to read about it). I have to say it's a bit lonely being an out and proud Geek mom, at least in my neck of the woods. Want to discuss the latest from Ilona Andrews or Cherie Priest? My options are sadly limited in real life. Of course, there are plenty of closeted geeks, furtively reading their YA dystopian novels at home, but they are elusive and hard to spot in the wilds of the local park, mom's group or school function. All snark aside, I've been thinking about what it means, for me, to be a geek mom, and why do I even feel the need to identify myself as such. Part of it is the proliferation of “parental types” and how-to's: I don't want to be anything close to a helicopter parent, I don't have the stomach to be the Queen Bee of the PTA, and forget about being a Queen Bee's minion. I was a geek throughout school - getting good grades, nose in a book at all times, a love of fantasy and sci fi, and a definite “outsider” feeling. Deep down, though, is a curiosity about life, the universe and everything that I've never outgrown. That is what I want for my own kids, to use their brains, really think about and question the world around them. My daughter is an unabashed girly girl who lives in pink, sparkles, and also loves math and science experiments. My son is the puzzle king, loves anything electronic, and has picked up my love of t-shirts. 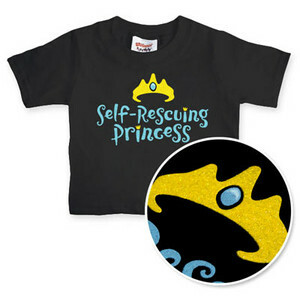 We go for monster hunts (the kids tend to prefer a monster catch and release program), they dress up as superheroes to capture the Joker and Penguin, and the princess is no damsel in distress. They've also discovered some very fun uses for baking soda and vinegar - nothing says “science is fun” like making your own lava. We read lots of books, and fantasy does reign supreme, although that is also very typical for their age. Time will tell if they will love the Harry Potter books as much as I do, if they'll still enjoy the fantastical once they've grown up a bit, but that's all right. They're going to be who they're going to be, and right now we're having a lot of fun figuring that out. Haha! At least I am not the only one. Geek mom's of the world unite! I come from a decidedly geeky family. Last July my father, brother, and for the 1st time time 2 of my sons, went to ComiCon in San Diego. It was awesome. We're all going again next year, and my son's are already planning their costumes. Yay!